The AMD Radeon HD 6630M (sometimes also called ATI Mobility Radeon HD 6630 or similar) is a middle class graphics card for laptops. It supports DirectX11 and is the successor of the low clocked HD 5650 chips (low power). Compared to the HD 5650 it offers 80 more shader, Eyefinity+ and the new UVD3 video decoder. The 3D performance should is similar to the older Radeon HD 5650 due to the larger amount of shaders. Therefore, current and demanding games should run fluently in 1366x768 and medium to high details. Less demanding games like Sims 3 or Fifa 11 should run in high details and resolutions. Detailed gaming benchmarks can be found below. The power consumption of the chip should be similar to the low clocked Mobility Radeon HD 5650 chips and therefore suited for 14" laptops and up. 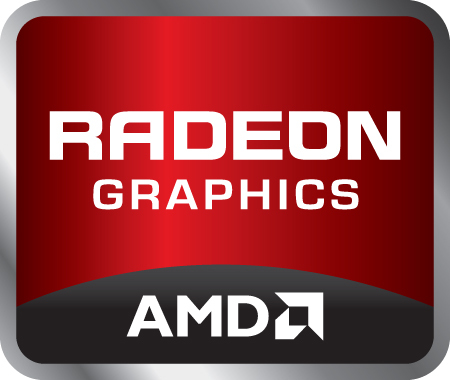 The AMD Radeon HD 6770M (sometimes also called ATI Mobility Radeon HD 6770 or similar) is a fast middle class graphics card for laptops in 2011. It supports DirectX11, is the successor of the HD 5770, and features higher clock rates, 80 more shaders, Eyefinity+ and the new UVD3 video decoder. However, it is still produced in 40nm and based on the same Whistler chip as the entire 6700M and 6600M series. The chip is normally clocked at 725 MHz, but is only clocked at 675 MHz in the MacBook Pro 15 Late 2011 model. The 480 Stream processors should still based on the "old" 5D architecture similar to the 5000 series. Therefore, the number of shaders is not comparable to the 1D cores of current Nvidia GPUs. The Tessellation performance, however, should be an improvement with the new cards. The Stream processors can be used with DirectX 11, OpenGL 4.1, DirectCompute 11 and OpenCL. The latter two APIs can exploit the GPU for general computations like transcoding videos. The 3D performance of the 6770M is slightly better than the GeForce GT 555M and is therefore positioned in the upper middle class as of 2011. Demanding games like Anno 2070 or Skyrim can only be played in medium detail settings and lower resolutions. Certain games, such as Battlefield 3, may even only run in low detail settings. Older games like Call of Duty: Black Ops are playable with all settings maxed. Furthermore, the HD 6700M series integrates an HD audio controller to transmit HD Audio (TrueHD or DTS Master Audio) over HDMI and DisplayPort (e.g., for Blu-Ray videos). The AMD HD3D Technology offers support for Blu-Ray 3D and 3D displays (integrated and external). However, the solution is not as mature as 3D Vision from Nvidia in terms of dirvers and overall support. Thanks to Eyefinity, the AMD card is able to theoretically drive up to 5 monitors simultaneously. This would only work, however, if the laptop features enough DisplayPort outputs. The power consumption of the 6770M should be similar to the Mobility Radeon HD 5770. As a result, the 6770M is normally only found in 15-inch or larger notebooks.